well here i am with the makeover for my $14.99 wingback chair. guess what? it's PAINTED! yes a painted wingback chair. i remember hildi san-tomas painted a sofa on trading spaces years ago (wasn't that many of our first introduction to the world of interior design? well mine anyway...lol). i also remembered seeing a post in undergrad on ikea hackers about a guy who painted one of his chairs. ever since then, i have wanted to try it. so i did! 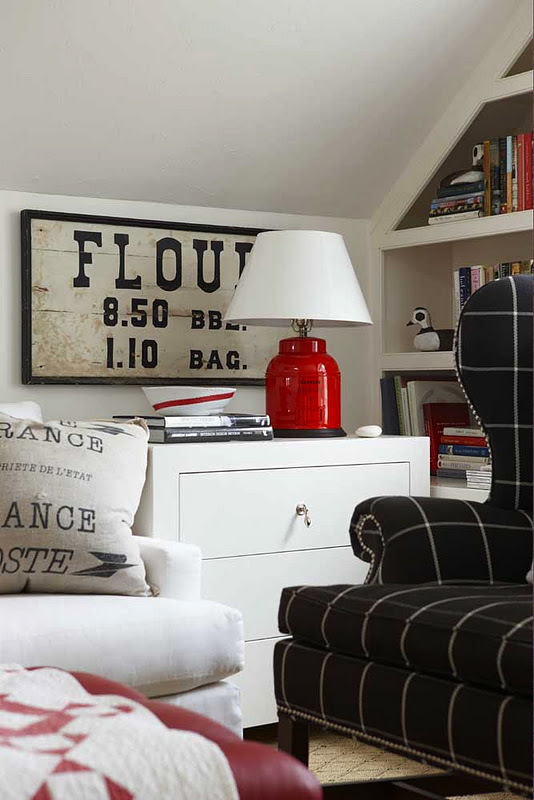 i have seen quite a few painted chairs and sofas from bloggers around blogland over the last year or so. many of them are quite fantastic. as you can see, the texture is smooth. it feels like a mix between vinyl and leather or "vin-eather." to be honest, i wasnt really hesitant, because i didnt have much to lose. if it didnt work, i could always banish the chairs to storage until i saved up to have them reupholstered. however, a major investment like that is NOT something i am going to do until i move into my own crib. yea the legs haven't been redone. depends on how i am feeling i may or may not do it. ...here it is alongside, of the newly painted chair. i think it is a MAJOR difference. honestly. i would not be able to tell it had a different life. i just finished working on the second chair. i had a very close call. i will share that story later. this tom ford image was a huge inspiration for my chair makeover. this outfit really fits my style. matter fact i picked up a very similar pair of trousers a few weeks ago that i will be wearing and sharing on the blog very soon. i knew i wanted my wingback chairs to be black and i wrestled with the thought of painting them to look like the above image. however, because the finish is "vineather", i decided a solid color would be best (notwithstanding it would require a lot of taping and stenciling). although i am awful at tutorials, i be back later in the week to attempt to break everything down...way down. in the meantime i will say it is very very easy to do. all you need is textile medium, paint and water. there are a few helpful hints i will share as well. 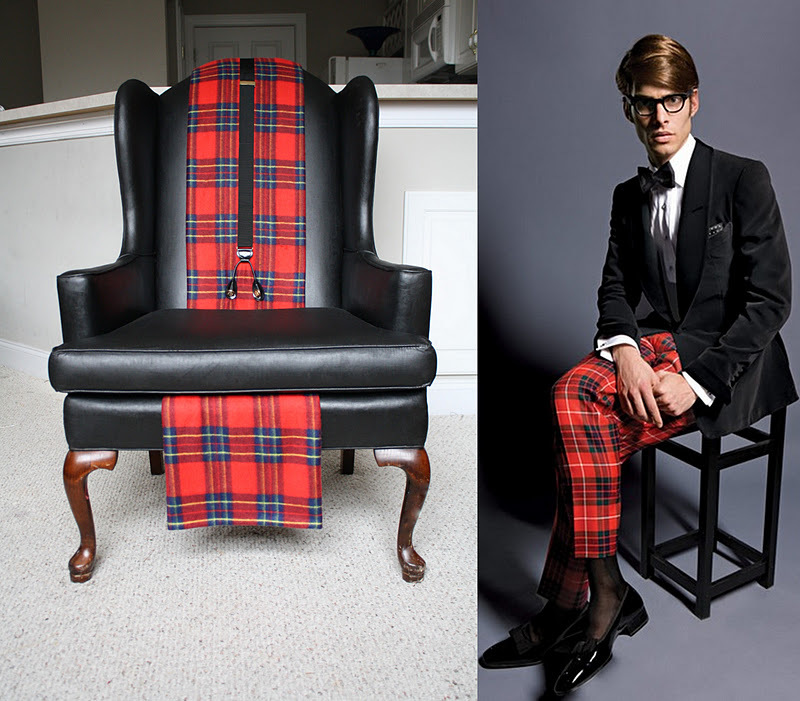 shall we take one more look at my tom ford inspired wingback chair? who's ready to paint a chair! ?